The cause was not immediately clear, but officials say that it could be linked to renovation work. Images on social media show plumes of smoke billowing into the air above the 850-year-old Gothic building. A major operation is under way to tackle the blaze, which broke out on Monday afternoon. An area surrounding the building in central Paris has been cleared, officials said. 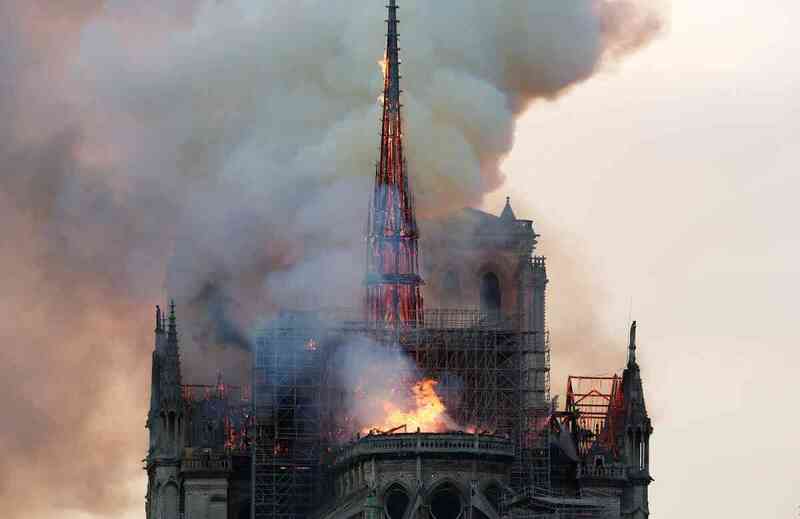 French President Emmanuel Macron has cancelled his planned speech to the nation in light of the fire, which has engulfed the giant spire of the cathedral, an Élysée Palace official said. The mayor of Paris, Anne Hidalgo, described it as a "terrible fire" and urged people at the scene to respect the boundaries set up by fire crews in order to ensure that they remain safe.